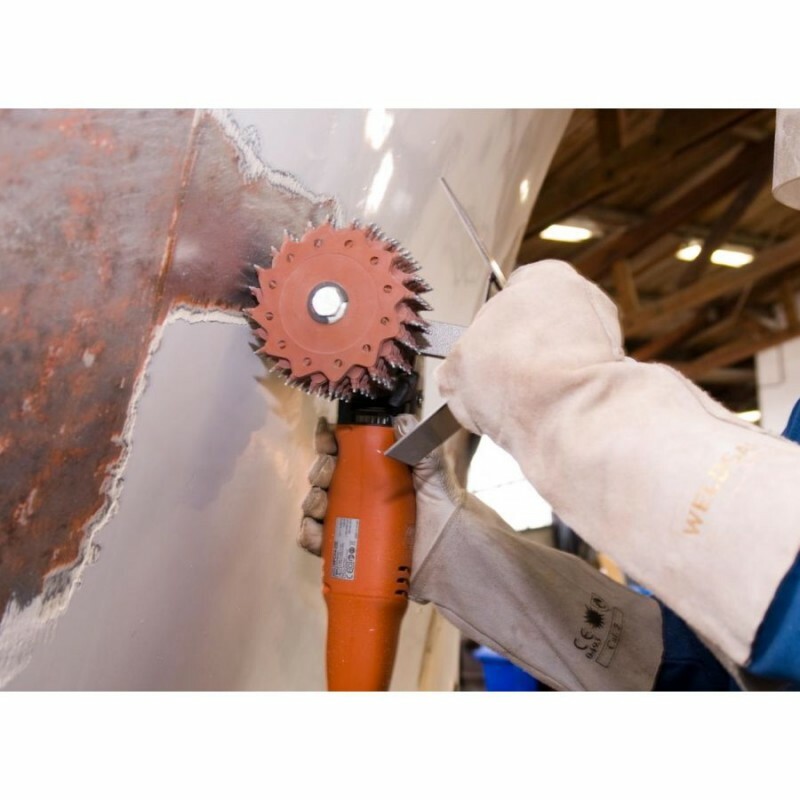 The Tercoo Rotary Blaster is a tool for removing paint, rust, tar, epoxy and filler from metal, and ideal for stripping iron keels. It easily attaches to an electric drill with it's built in 8mm shaft and is easy to operate with a gentle up-and-down motion, leaving a mottled, slightly rough surface, ideal for applying epoxy paint without the need to sand. 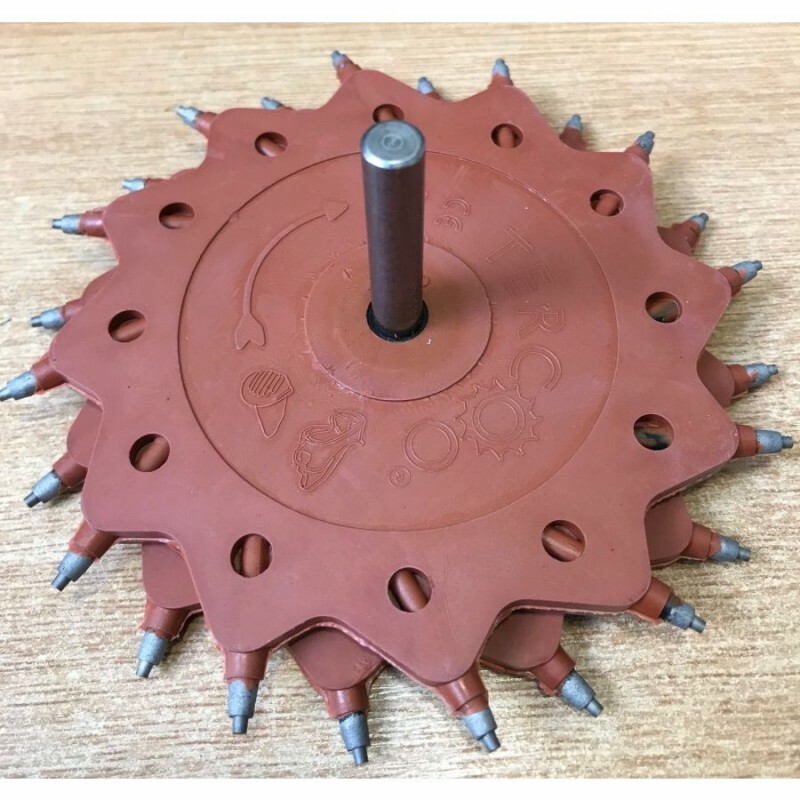 Tercoo is a natural rubber disk with 12 hard metal tungsten carbide tips pins and an 8mm shaft not shown to attach to a power tool. The tips are at a certain angle to the centre of the disk. 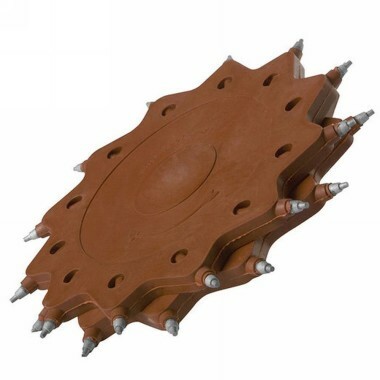 During operation, the centrifugal force created by the rotational speed of the drill causes the flexible rubber disk to react in such a way, that a hammer effect is created with the tungsten carbide tips. This movement ensures that the tips clean the surface perfectly, removing all contaminants and other old coatings. The hammer effect creates no heat, so tough materials such as tar, adhesives and sealants will be easily removed. This is an entirely opposite concept compared to other tools. Other tools use friction to remove contaminants steel brush etc which produce a lot of heat and work ineffectively with bitumen based products, tar, adhesives, tectyl etc.